Takaaki was an excellent guide, knowledgeable and able to convey subtle messages about Japanese culture and history easily and in a really relaxed manner. A great evening. TOUR GUIDE RESPONSE: Thanks, Arison! I’m happy you two enjoyed the tour :) it’s rewarding to hear that positive feedback from guests! Beautiful Magical Tranquil Night Tour - made by our guide who steered us thru the quiet secluded streets & lanes of Gion...& timed it so we had the best probability of spotting a "Geisha" and we did! The deserted laneways with the stories behind the doors made the experience surreal. Takaaki's introduction of the history & customs behind the "Geiko & Maiko" (is Geisha & Geisha trainee) community was delightful! Thank you Takaaki. Terrific tour, Takaaki was a wealth of knowledge, and gave us a truly personalised tour of Gion. I can not recommend highly enough. TOUR GUIDE RESPONSE: Thanks, Sally! We were particularly fortunate to have 8 sightings of Maiko and Geiko(Geisha). I was happy to take you the Ramen lover to another local Ramen restaurant! A great tour and guide, would highly recommend. English is excellent. Takaaki provided a lovely tour of the Gion district. We learned about the Geisha culture in Kyoto and saw three Geiko/Maiko walking to local tea houses. Takaaki has a lot of knowledge about their training and the local stores which sell the beautiful hair pieces and shoes. We moved on to visiting the Shinto shrines and once again learned about the specifics of each and what locals go to pray for--break-up shrine anyone? A trip through the lovely back streets and ramen for dinner at a local restaurant. TOUR GUIDE RESPONSE: Thanks, Jamie! Yes! My Gion evening tour would give travellers not just insight into Gion and its culture, but also a chance to experience local restaurants. I’m glad you enjoyed the tour! We had a great experience with Takaaki. He was very personable and knowledgeable. He answered all our questions and was flexible. We would highly recommend him and would love to have him again if we return to Japan. Another brilliant tour by Tours by Locals. Taakaki was fantastic taking me to places I would never have found by myself plus he was extremely knowledgeable. Once again nothing was too much trouble plus he was extremely considerate. I can highly recommend him and would be more than happy to have him as a guide on another tour. TOUR GUIDE RESPONSE: Thanks, Su ! I was happy to guide you around for your second visit to Japan. I'm sure your impression on Japan has been fully updated after not having been here for years and it'd be great if I added another point of view to your perception of Japan.We were lucky enough to see three sightings of Maiko, two among them were in special Kimono for celebratory occasions. Maybe I’ll see you again for your third trip to kyoto. We spend a wonderful evening with Takaaki. He proved to very knowledgeable about this history of the Gion District, as evidenced by his ability to go off script and answer our many questions. I especially appreciated his in depth knowledge about Geisha culture. His English is excellent. I highly recommend spending an evening with him in Kyoto. TOUR GUIDE RESPONSE: Thanks, Chris! I was happy to take you two to explore Gion and adjoining area in the evening. It is always fun that every traveller brings different point of views and perspectives. I'd be happy to help you discover more next time you are around in Kyoto! Takaaki is a very nice and knowledgeable guide. We enjoyed the tour through the narrow back streets of the Gion District and got several glimpses of Geisha. Yasaki Shrine was beautiful, and we enjoyed the dinner at a small, local restaurant. He speaks very good English and exuded so much energy and friendliness. I would highly recommend him as a guide. TOUR GUIDE RESPONSE: Thanks, Kathy! I had a great time with the two of you. I was happy to be able to add something extra to the usual tour because of Gion Festival. The portable shrines for Gion festival displayed at Yasaka Shrine were beautiful weren’t they :) I hope the rest of your trip to Japan went smoothly and maybe we’ll see you back in Kyoto in the future. 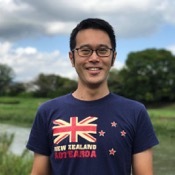 We made a last minute booking for this tour on the day we arrived in Kyoto and we were pleasantly surprised with our guide - Takaaki - he was an extremely knowledgable guide on history, religion and anything we had questions around. We were fortunate enough to see the stunning sites with the glistening rain on the cobble roads of old Kyoto. The evening wrapped up with a lovely meal of ramin and dumplings. We were all very impressed and Takaaki was an amazing guide!! TOUR GUIDE RESPONSE: Thank you for you kind words. I was happy to you show you around some of the most picturesque places in Kyoto, Gion and its adjoining area the HIgashiyama District, are especially beautiful on a rainy day. I'm glad you got to enjoy the fortuitous moment of seeing Geiko. Absolutely amazing tour. The guide's English and knowledge is excellent. The tour was well planned. Couldn't recommend it more. TOUR GUIDE RESPONSE: Thank you for your kind words. I'm always happy to include the places or anecdotes guests would've missed out otherwise. Please recommend my tours to your friends and family who will come to Kyoto! Takaaki is very knowledgeable, friendly and accommodating guide! He was able to fit our group of 6 people into his busy schedule in the last moment! The tour was superb, everyone in our group enjoyed it thoroughly! At the end of the tour he recommended a very nice Udon - Soba restaurant. Takaaki was an excellent tour guide! Our group had a long day of touring Arashiyama in the cold rain prior to meeting Takaaki in Gion and he was very understanding when we requested a few detours to dry off and warm up. He was upbeat, positive, informative and took us to some great spots-everything you hope for in a tour guide! We were also lucky enough to see Geishas! At the end of the tour, Takaaki joined us for dinner and translated each of our names into Japanese characters. We highly recommend him! TOUR GUIDE RESPONSE: Thank you for your wonderful review. I enjoy customising plans to make sure the people I guide have the best time possible on tour. All seven of you were really engaged and responsive on the tour and gave me lots of questions, which is a fun for me. Please come back to Kyoto and Japan to have some more fun experiences. Takaaki is a highly educated, well spoken, and skilled tour guide. His historical knowledge of the culture is scholarly, and his enthusiasm and upbeat demeanor is infectious. I suggest that he author a tour book. He took us to certain spots that locals know of, and we caught an insighful glimpse of Kyoto, which made our tour very memorable. TOUR GUIDE RESPONSE: Thank you very much for your very kind words. I always enjoy meeting new people and showing guests the beauty of my city. I was honored to be the “top batter” on your first day in kyoto. Your journey to discover kyoto has just started, please come back to kyoto and Japan again! An amazing & informative tour! Takaaki took us on a walk through Gion where we came across many shrines and interesting areas which you wouldn't get the chance to see if you were simply riding in a taxi or walking along the main streets. We even spotted a few maiko along the way. I would definitely recommend this tour to anyone visiting Kyoto who wants to learn about the history of geiko and the city of Kyoto while hopefully seeing some beautiful geiko and maiko along the backstreets. Thank you Takaaki! TOUR GUIDE RESPONSE: Hi Candice, thank you very much for the amazing review. I enjoyed spending time with two of you on the tour. I'm glad the evening was not too cold for us. It's always interesting to know guests viewpoints, which will enrich my guiding for my future tours. Next time you come back to Japan, please let me help you discover kyoto and Japan further. TOUR GUIDE RESPONSE: Thank you very much for giving me such a lovely review! I really enjoyed guiding you on the tour. It was a really cold night so I thought it might snow. I'm glad you enjoyed feet and hand warmers I gave you. We were lucky to see 2 Maiko. I think it's always good to have a guide so that you won't miss interesting alleyways and real Kyoto sights. Please recommend me to your friends and family. I would be happy to guide them in Gion and kyoto.